This pie was a request by Laura on my blog. It is a very simple recipe and pretty quick to make, not to mention the wonderful job of getting to lick the bowl and spoons on all the steps of this recipe. I love the flavor of chocolate and orange, but you can omit the orange extract in this recipe. I opted to cheat on the crust for the pie to save myself some time, but making one would be fairly simple. 1.) In a medium saucepan over medium heat, heat 1 cup of cream until just boiling. 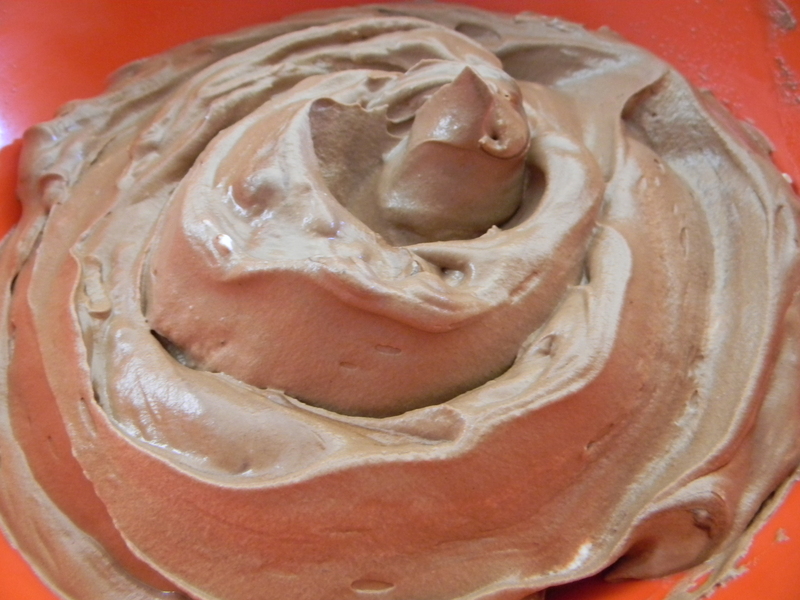 Place chocolate chips, salt, vanilla and orange extract in the bowl of a food processor or a blender jar. 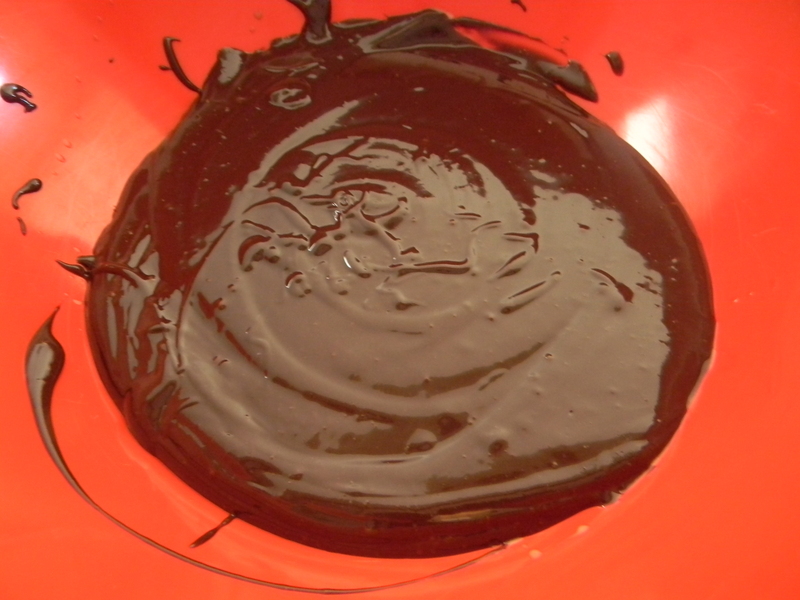 Carefully pour in the hot cream with the machine on through the lid or feed tube until the chocolate is melted and everything is incorporated. Let cool. 2.) 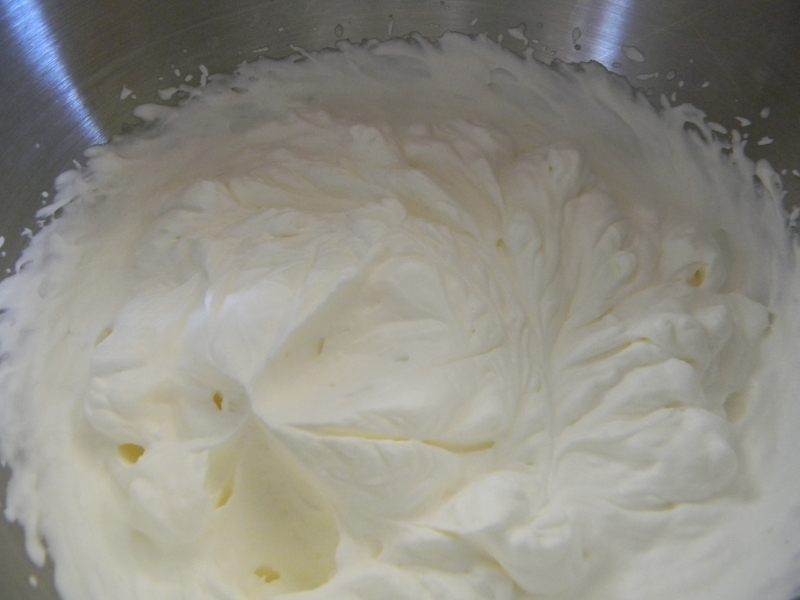 In a stand mixer (or with a handheld), beat remaining 2 cups whipping cream with sugar on high until thick and fluffy (also known as stiff peaks), about 6 minutes. 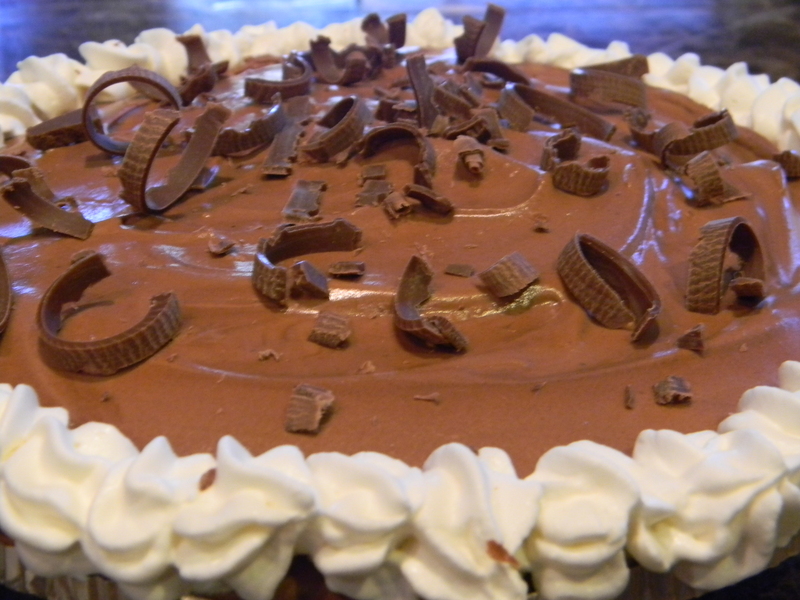 Gently fold the whipped cream into the cooled chocolate mixture with a spatula. Be careful not to over stir mixture or the cream will deflate. 3.) 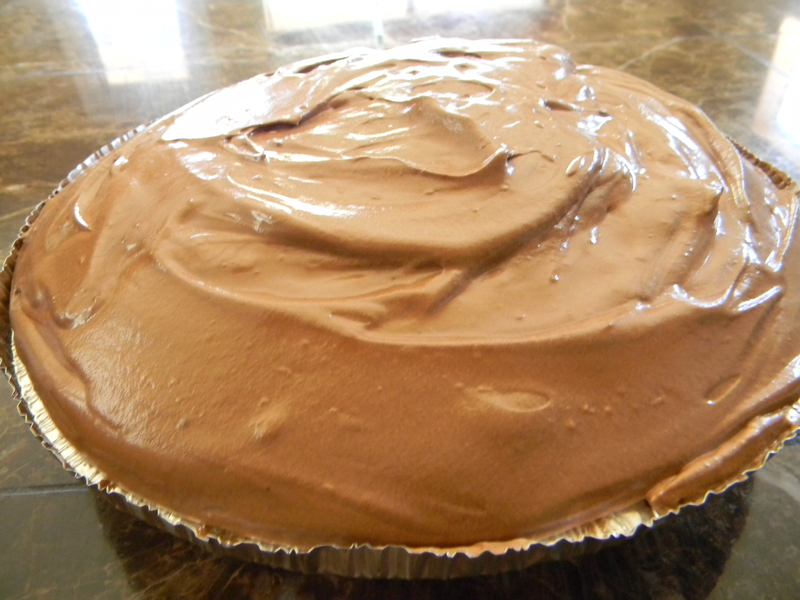 Pour chocolate mousse into prepared pie crust and refrigerate for 3 hours to overnight. 1.) In a stand mixer, combine cream, vanilla, orange, and sugar. Mix on medium high speed until thick and creamy, about 4 minutes. If you have a pastry bag, pipe little whipped cream buds at the crust all the way around the pie. 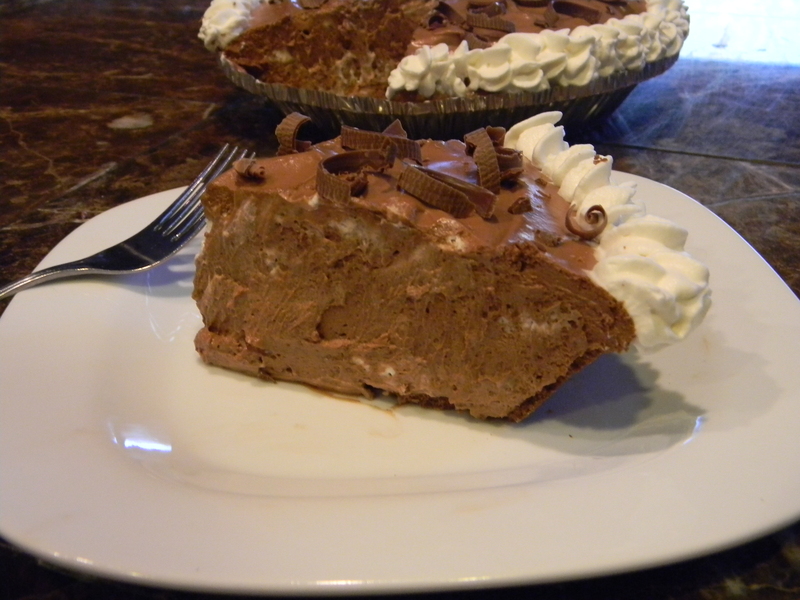 If you do not have a pastry bag, spread the whipped cream over the top of the entire pie. Garnish with chocolate curls or shavings.